a)The environment should be clean and items tidy. Safe passage is clear without any obstacles. b)Good ventilation in the workshop should be guaranteed to avoid workers’ lack of oxygen led by high CO2 density. c)Chloride ion content in the water used in this system should not be more than 25mg/L, PH value 6.5~8.5 and TDS value not more than 300.
d)Overall power needed for this system is 650Kw/380V three-phase electricity. User should guarantee system power distribution demand for extraction workshop. 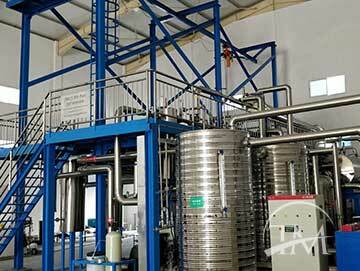 e)CO2 fluid used for the equipment should meet the requirement of food grade CO2 standard. CO2 volume fraction is not less than 99.9%. f)If steam heating is adopted for the equipment, user should provide saturated steam 0.5~0.7MPa, 550~600kg/h.